I'm sorry for your loss, Melanie. I will remember her in our prayers. I'm so sorry for your loss. Please know that I will be praying for the soul of your MIL and of course, for your family at this sad time. I'm so sorry to hear this Melanie. 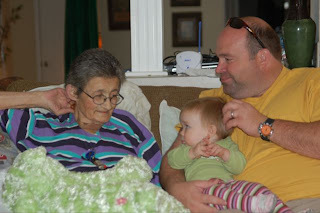 How wonderful that you got to visit her before she passed! We will be praying for your family and especially for the soul of your mother in law.